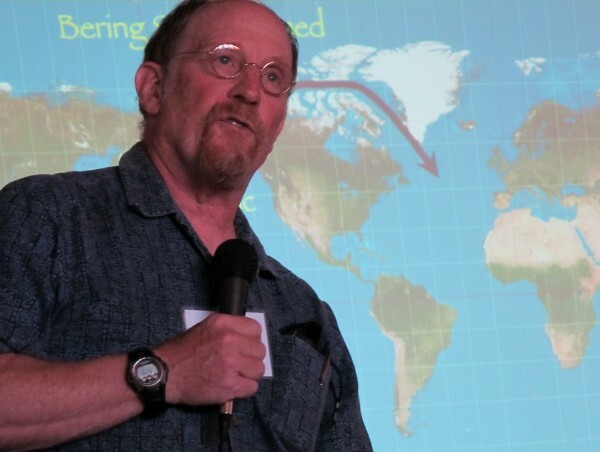 Bob Steneck, professor of marine sciences at the University of Maine, discusses changes in the Gulf of Maine ecosystem over history during his opening address Wednesday at the two-day "Climate of Change" conference hosted in Portland by the Island Institute. 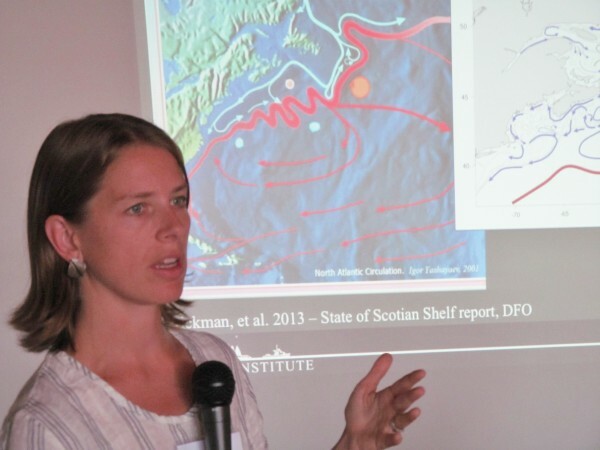 Heather Deese of the Island Institute discusses oceanographic changes in the Gulf of Maine during a Wednesday morning panel discussion in Portland. The Island Institute hosted a two-day "Climate of Change" conference to discuss how climate change is affecting New England fisheries. Long Island lobsterman Steve Train tells attendees of a Portland conference on climate change and the New England fisheries that he can now set traps farther offshore, because reductions in groundfishing nearly eliminate the threat of losing traps in dragger nets. Wednesday marked the first of two days in the Island Institute's "Climate of Change" conference. PORTLAND, Maine — Top scientists and commercial fishermen agreed Wednesday that high lobster populations off the Maine coast could set the state’s fisheries up for catastrophe. Researchers from as far away as California and Washington were expected to converge Wednesday on Portland for a first-of-its-kind two-day conference with academics, fishermen, government officials and lawmakers to discuss climate change and its effect on New England fisheries. The event was hosted at the Portland Company complex by the Rockland-based Island Institute. The takeaway message from the conference’s initial presentations: As tempting as lobster is, fishermen must diversify their catches. In 2011 and 2012, the statewide lobster catch hit successive record highs with 105 million pounds and more than 123 million pounds, respectively. Those numbers carried some bad financial news, however, as the great supply pushed down prices and left lobstermen earning less per pound while still facing rising fuel and overhead costs. But Bob Steneck, University of Maine marine sciences professor, pointed out an additional downside to the lobster abundance. Steneck said the North Atlantic is not historically diverse to begin with, saying the area’s “plus or minus” 100 fish species is half that found near Europe and a small fraction of the more than 2,000 species found near Papua New Guinea. Over time, Steneck said, the Gulf of Maine has become even less diverse. He said monstrous prehistoric coastal codfish — averaging nearly 3.5 feet in length — whose bones have been found in abundance at 4,000- and 5,000-year-old Indian sites have over history become all but nonexistent in the Gulf waters, driven down by overfishing and increasing water temperatures. Without the predatory cod and other fish like it around in great enough populations to control lobster numbers, the crustaceans have thrived, he said. The same warmer ocean temperatures that have helped push cod populations north, Steneck said, have provided lobster with a deeper range in which to settle their larva. Sea surface temperatures in the North Atlantic were the highest ever recorded in 2012, following years of historically rapid warming. 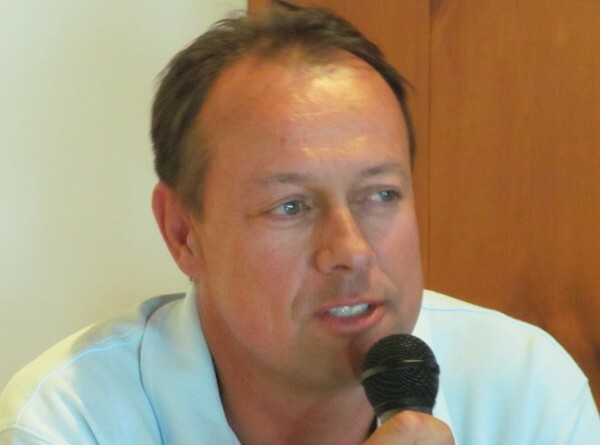 Cutler fisherman Kristan Porter said during a Wednesday morning panel discussion at the conference he’s heeding the warning that today’s record lobster hauls may not last forever. He said he makes it a point to haul scallops and mahogany clams in addition to lobster, despite the abundance of the latter catch. Princeton University researcher Malin Pinsky told conference attendees Maine fishermen may be losing cod to a northern migration, but said new opportunities to diversify may arise in coming years as fish previously populous in southern waters — most notably red hake — similarly make their way north. Porter and Long Island lobsterman Steve Train each told conference attendees that they’d witnessed significant growth in the red hake population off Maine’s coast after decades in which the fish was considered a rarity this far north.